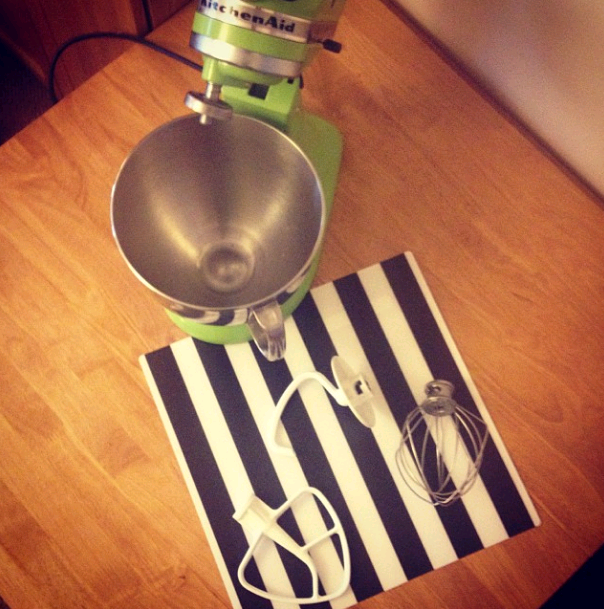 One question I get asked a lot is if I would recommend the Kitchenaid artisan mixer. 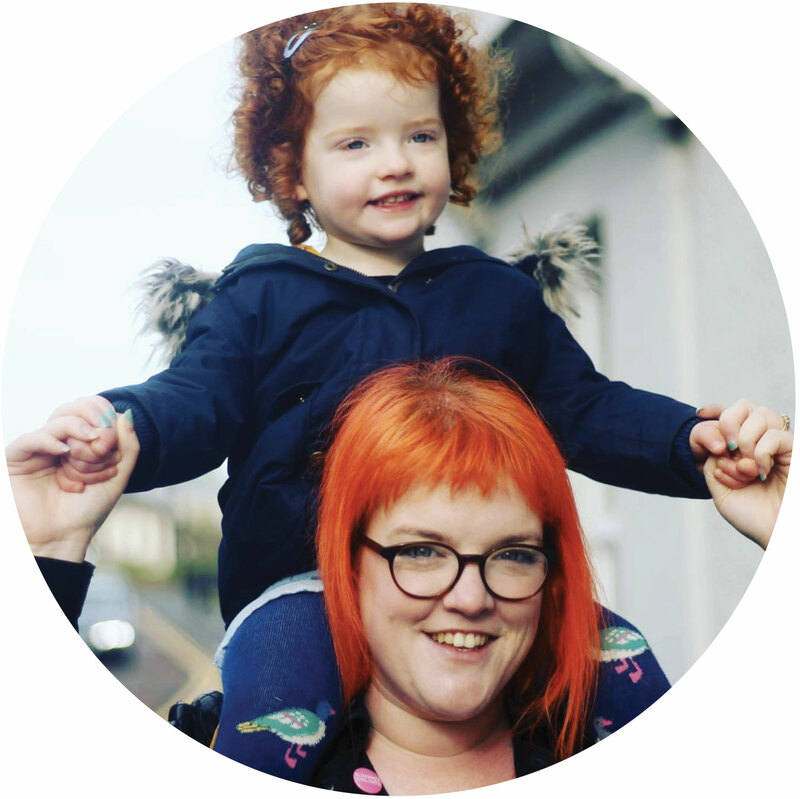 I use mine a lot in home baking and you'll often see a cheeky flash of green in my blog photos. I got my KA Artisan mixer for Christmas last year, I had wanted one for so long and was thrilled when I found one under the Christmas tree. I definitely think a stand mixer is an essential piece of kit for someone who is passionate about baking and spends a fair amount of time doing it. OK, maybe essential is too strong a word, its possible to go without, but as a stand mixer owner I couldn't imagine not having one now. I am going to be completely honest with you here, I didn't really do a lot of research before choosing KitchenAid, I wanted one for completely vain reasons, I wanted to classic styling and vibrant colour. That's not to say that KA is not great at what it does, but it's by no means the most powerful on the market. 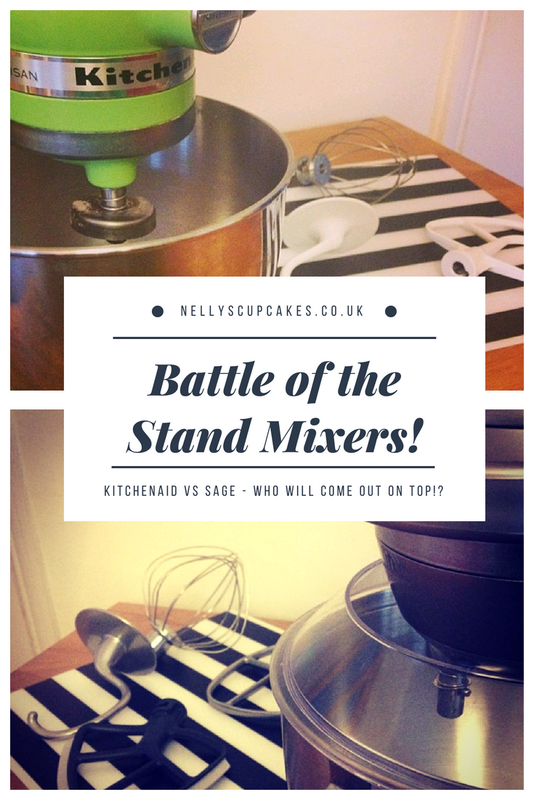 So, on to the purpose of this post, I am going to put my beloved KitchenAid up against "new kid on the block" Sage Scraper Mixer Pro, (Sage Appliances are the Heston Blumenthal range of kitchen products). How do they compare? I plan to look at everything from function and looks to price and value for money. I for one am really interested to see how my current mixer stacks up against its rivals! As I have already admitted my vanity to you all shall we start with the look of the mixers? Everyone knows the classic look of the KitchenAid, its rounded shape, vivid colour selection and retro feel make it stand out from the rest. I don't know a single KA owner who doesn't keep theirs on the kitchen bench, part kitchen gadget, part decorative statement. So how does the Sage stack up? In my opinion, purely in terms of looks it really doesn't. The overall appearance is much bulkier, more masculine and almost futuristic in design. It has a dial for the speed settings, a count up and down timer with pause function for precise mixing, and fancy LED lights up the side which show the speed being used. Basically, if you have ever watched any of Heston's programmes on the telly, it looks like the exact type of kit he would use. It's personally not my style, but if you like stainless steel/ silver, futuristic-looking gadgets, you will love it! We've got the vanity out of the way so lets get down to business, how does it stack up in the functionality department? 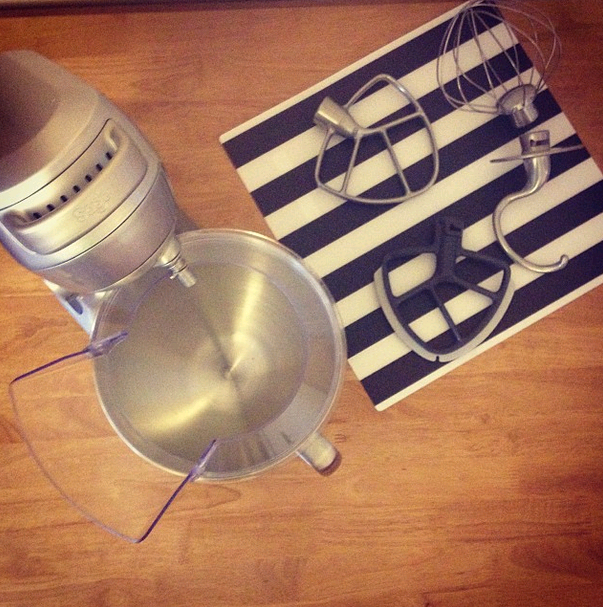 Both mixers come with the standard dough hook, paddle beater and whisk attachments. The Sage mixer also has a "windscreen wiper" paddle beater which scrapes the side of the bowl as you use it, which is brilliant for creaming butter and sugar. With the regular paddle attachment you tend to get a fair bit of butter sticking to the bowl, so have to stop and scrape periodically. 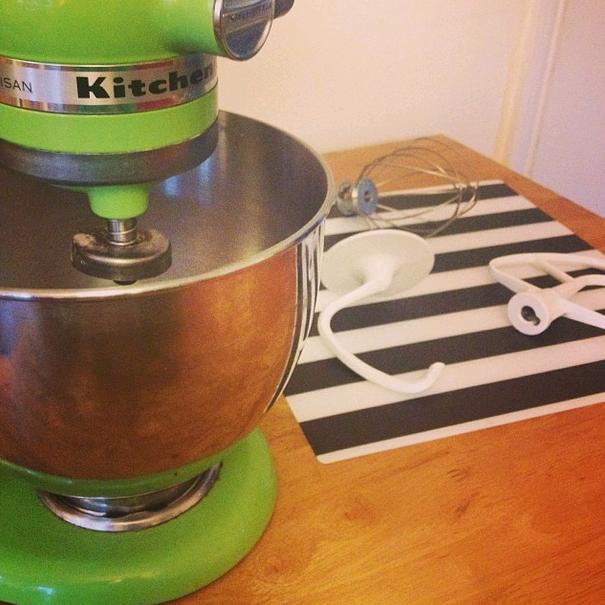 KitchenAid do offer their own version; "Flex-Edge" beater. You can purchase this for around £35. I do think it is a useful addition and its great that the Sage mixer comes with one already, I do wish the KitchenAid came with one as standard. Both machines come with a plastic "pouring-shield" which fits on top of the bowl, this is great when adding dry ingredients, it stops the inevitable cloud of icing sugar when mixing. The Sage shield is a complete circle with a pouring spout, whereas, the KA shield has a large gap at the back for easy removal while mixing, the complete circle works better while mixing, but in order to remove it you need to take the spout off, and it can be a bit fiddly. KitchenAid also offers a vast range of extra add-ons for your mixer, from an ice cream maker, sausage maker, mincer, pasta machine... The list goes on. While they can be expensive, it means your basic machine can serve multiple uses. I haven't got around to trying any of the additional attachments yet, but I do like that I have this option. Sage is still a relatively new brand, so far they offer an ice cream maker attachment/bowl, I am curious to see if they release any further attachment options. I decided to try a basic cake batter and a bread dough in the Sage mixer, one thing I don't like about my kitchenaid is how it handles bread dough. I rarely use it for kneading as it has a habit of jumping off the bench when things get a bit tough. The Sage mixer handled bread a lot better, it felt more sturdy and I trusted it to do its thing without me watching over it. So, in terms of functionality I would have to give this one to Sage, it just seems to be more powerful and stable. Looking at the specs the KA is 300W and the Sage is 1000W... So there is a big difference! Its not too noticeable on cakes and wetter doughs, but when the going gets tough, the Sage comes out on top. Now lets get down to value for money. The KitchenAid is the more expensive machine starting at around £379 (although John Lewis have an offer on at the moment, free ice cream attachment with your purchase!). The Sage Scraper Mixer Pro is £299.95, so much more affordable for essentially a more powerful machine. Its a difficult one to call for me, as although the Sage Mixer is clearly the better value, more powerful machine. The KitchenAid has the look, the status, and for what I need a stand mixer for, it does its job well enough. I think if I was looking to save up to buy my own machine I would seriously consider the Sage, I would still swoon over the Beautiful KitchenAids but I am not sure I could justify the additional cost. 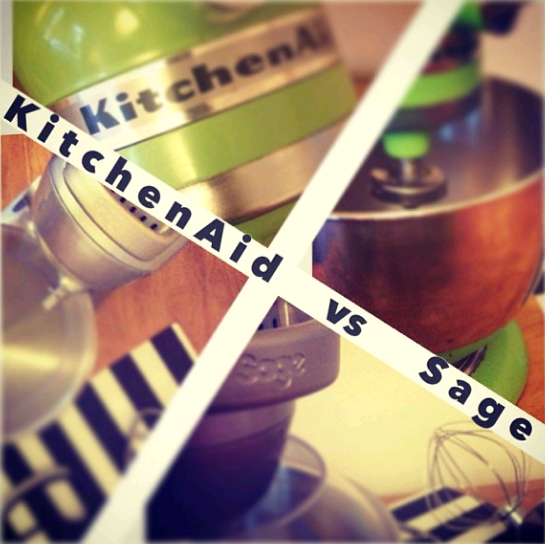 So, essentially I would spend my own money on the Sage, but ask Santa for a Kitchenaid. 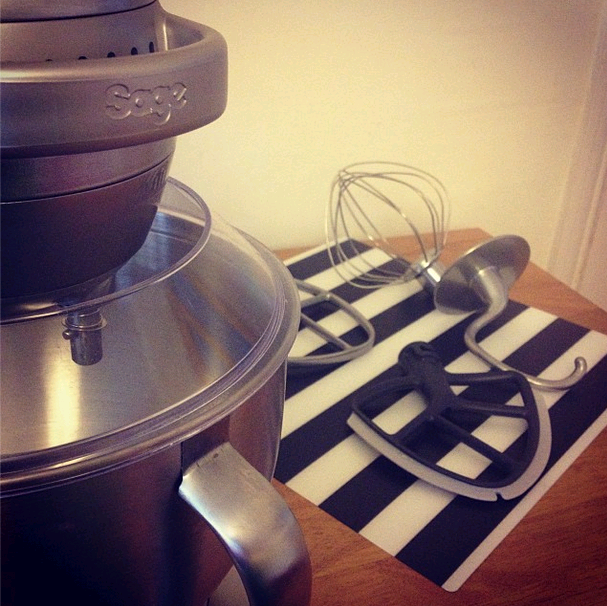 Have you asked Santa for a Stand Mixer this year? 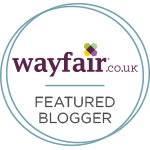 I was sent the Sage Scrape Mixer Pro for the purposes of this review. Great little review, I had such trouble deciding I kept putting it off and off and off and then I won a machine and didn't have to make a decision. If I was buying now, I would be seriously considering the Sage! Oh, this is a really useful review, thank you. I've been thinking of a KA for a while now but haven't quite made my mind up. stand mixer.i also need this stand mixer. This is such a helpful review. I've been considering a stand mixer for years and my santa has given me hints that it would be my Christmas present this year!! John Lewis have the sage at £199 just now, so very tempted. Alarmingly an Amazon reviewer said that Sage offer no repair service after the two year guarantee expires. So you have to bin the machine, which is now making me question my intention again. I wouldn't pay attention to wattage there is a reason why you can buy £80 stand mixers rated 800w and yet mixers 3-4 x the price have less wattage. Black & White Coconut Cookies. Meal Planning Monday - 18th November.